Does the spa's sweat sessions have any health benefits? We tried it out. You want me to shut myself inside a glass box that’s heated to 185 degrees? I’m sorry—are you trying to kill me? Don’t you know that I sweat in the wintertime, at cocktail parties, and at work? That I’m the fitness freak who avoided hot yoga for years because I didn’t want to turn my mat into a Slip n Slide? Yet, despite all that, I still chose to shut myself inside a hot glass box at Perspire Sauna Studio in Buckhead. Humans have seen sweating as a form of therapy for thousands of years, starting as early as the Mayans’ sweathouses. Finland is particularly big on saunas; there, one in three people use them. Perspire is a long way from an old-school sweat lodge or a communal schvitz; it’s clean and modern, with a boutique fitness studio vibe and easy-to-use, private, self-serve rooms. Just book your time ($39 for a single session of 40 minutes, which allows for a five minutes of stripping down and then, at the end, another five for re-dressing) and sit inside a glass box with a wood-slatted bench, a cushion for your head, access to TV, and colored lights overhead that supposedly carry their own health benefits. 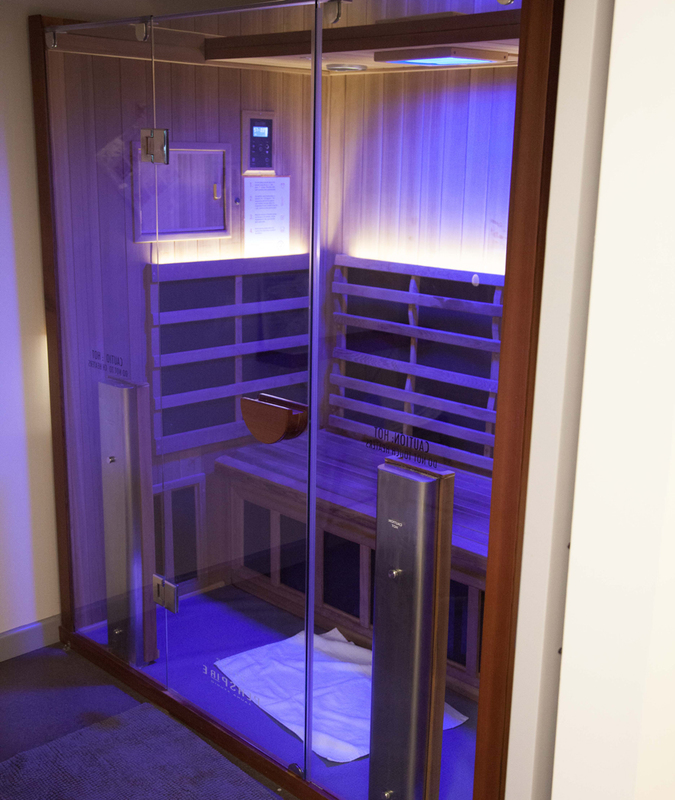 Perspire’s sauna technology, known as infrared (IR) sauna or far-infrared sauna, uses light to create heat and is said to produce “a deep sweat in comparison to a traditional sauna that produces a surface-level sweat,” according to founding partner Ken Arsenian. I’m always a bit skeptical when the word “toxins” is thrown around, but there’s some science to back up the sauna’s benefits. 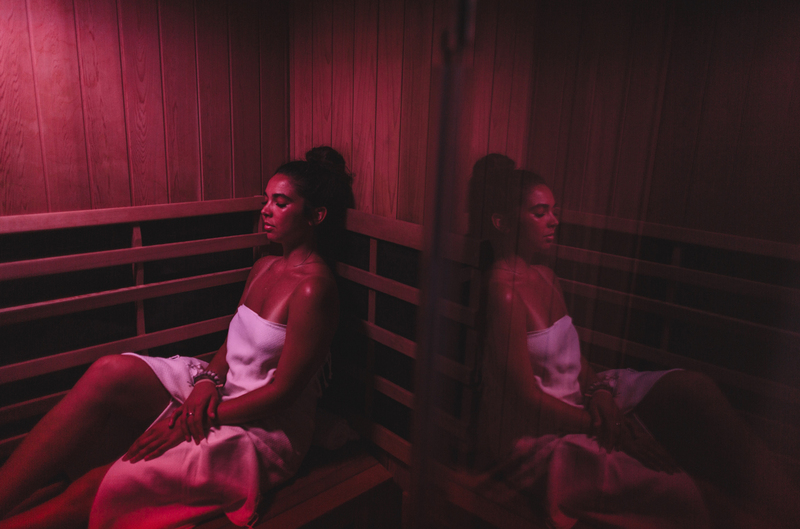 There’s evidence to support the use of infrared saunas for high blood pressure, congestive heart failure, and chronic pain, says Dr. Richard Beever, a clinical assistant professor of family medicine at the University of British Columbia. One long-term study of middle-aged Finnish men found those who spent time in a sauna two to three times a week saw a 23-percent decline in their risk for fatal heart disease. You can opt to sit and relax inside the booth. I wore my Apple Watch during my 30 minutes in the box, to track how many calories I burned by just sitting there and trying not to drown in my own sweat or panic in the enveloping heat. And indeed, I saw some benefits in the data: Even though I was mostly lying down the bench, meditating and deep breathing, my average heart rate was 111 BPM and I burned a total of 194 calories, about the same amount as you might burn speedwalking for that amount of time. Maybe it’s the perfect thing for a day when you know you should get your cardio on but you don’t really feel like moving. So long as you’re okay with sitting in a swamp of your own making, you’ll be ok with Perspire.